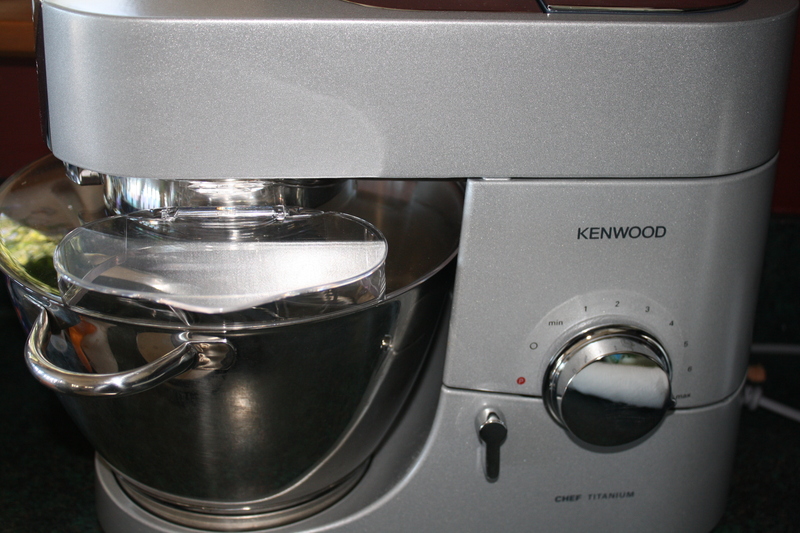 Whoop whoop, I have finally taken delivery of my Christmas gift – a brand new Kenwood mixer. Or, to be technically correct, a Kenwood Chef Titanium KM010 4.6 litre 1400 watt Kitchen Machine. Flash aye! More time was spent researching and checking out mixers than I spent choosing my wedding dress. True. That was easy – try one, buy it! Mixers were oh, so much more complicated. The Breville almost had me but the fine folk at Harvey Norman Botany came through with a too good to refuse deal. I’m optimistic that Kenny, as I’m calling him, is worth double the price of his competition. 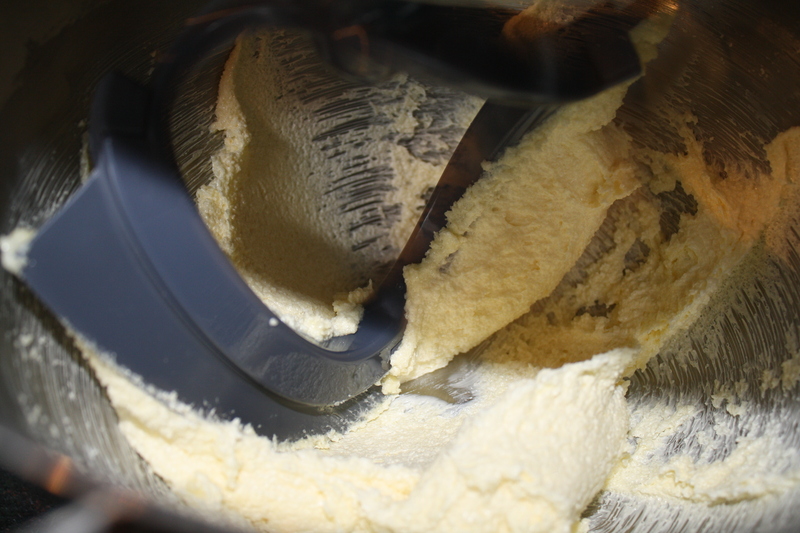 The anticipation opening the box was unbearable – all my other mixers have been courtesy of garage sales or Trade Me. This was quickly followed by the inevitable question, “where am I going to keep my new toy?”. I’ll take a moment here to thank Uncle Frank for driving said very large mixer (along with a car load of Christmas gifts and decorations – see my posting on this obsession) to the half way Auckland-Wellington point for us to collect. What to make for his first outing? Do I go all out and christen him by turning out some dainty rose macrons? A loaf of bread with my ever-expanding sourdough starter? Or something reliable and ‘safe’. 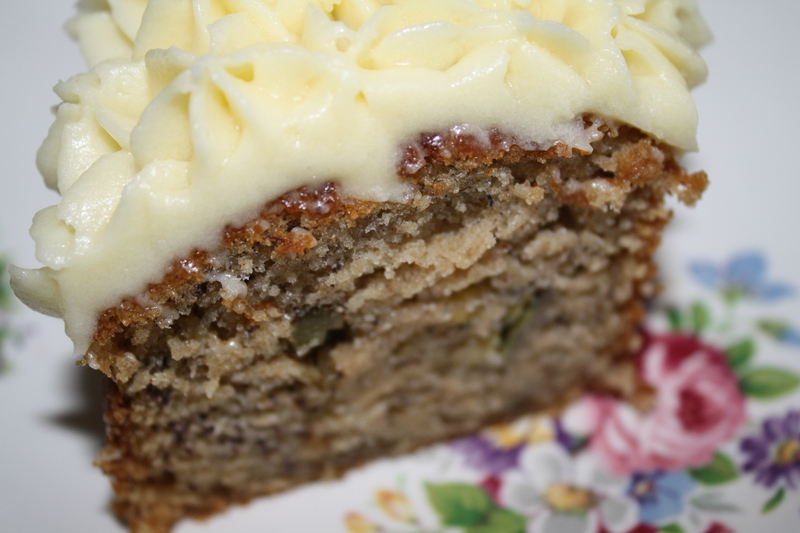 Unlike me, I opted for the later and settled on Mum’s old banana cake recipe. This was a good decision. I’m used to my trusty hand beater or the wonderful old Sunbeam (which I’m keeping for sentimental reasons – thus the space issue) which has a bowl that turns while mixing. So, Kenny, with his stay still bowl but super dooper scraper mechanism will take a little getting used to. 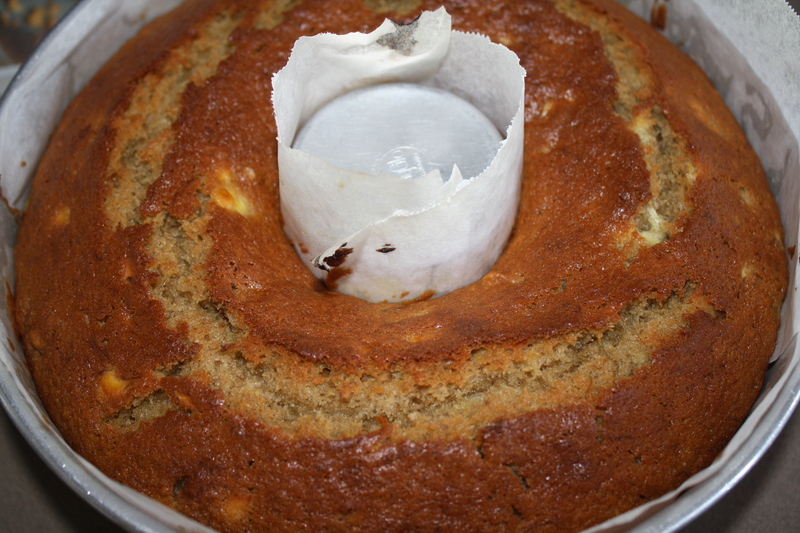 I like this banana cake recipe. It’s easy. It’s never failed. It’s inexpensive. 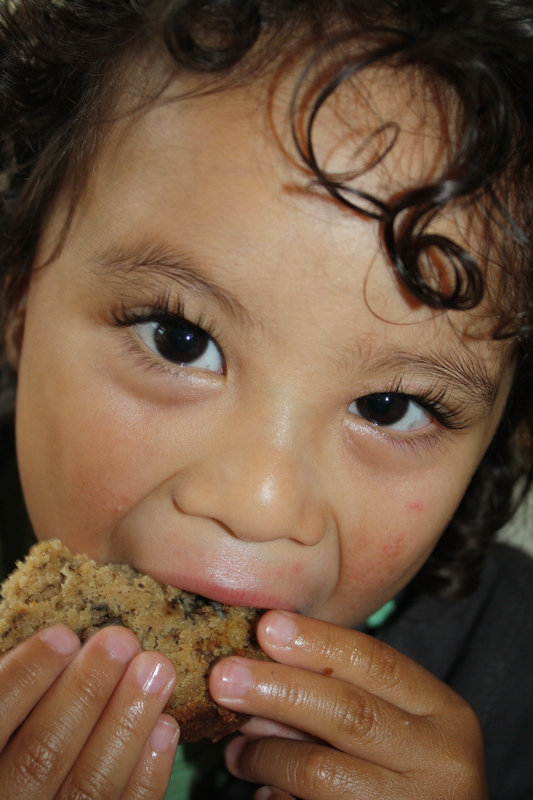 It can become egg free (replacing the one egg with a tablespoon of golden syrup). And, mostly, because it is delicious. I used Kenny to make almost the whole cake. Normally I would fold the dry ingredients in by hand, but thought I’d give it a whirl in the mixer and see what happened. Prepare a tin by lining with baking paper. I use a 21cm ring tin, but have used a 19/20cm round tin in the past. Turn your oven to 180C. Cream the butter and sugar until light and fluffy. This seemed to take a nanosecond in Kenny (check out the scraper blade!). 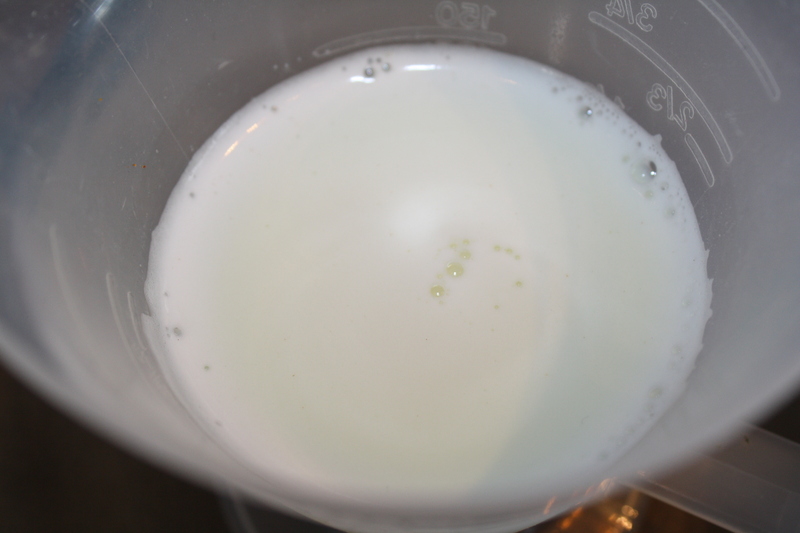 Warm the milk and add the baking soda, so that it begins to froth when stirred (don’t boil or over-heat the milk or it will kill the soda). Mix the milk into the creamed mixture, then add in the banana. Finally, mix in the previously sifted dry ingredients. 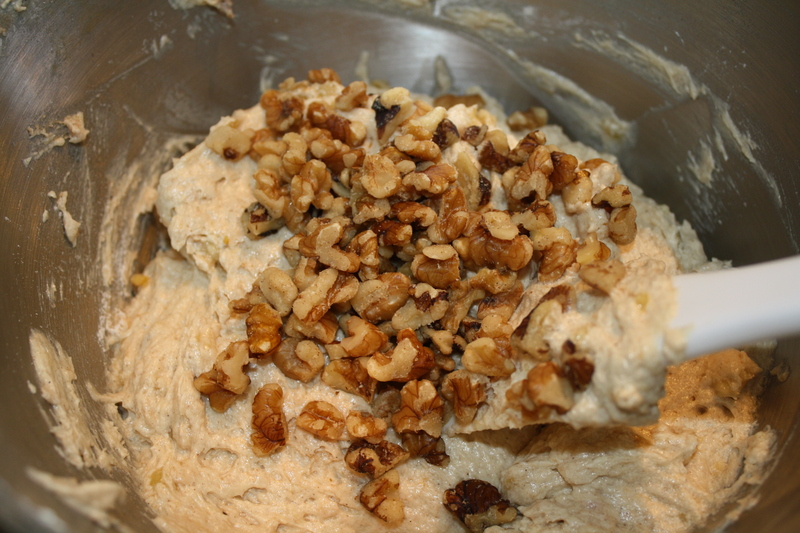 I decided to add some chopped walnuts and mixed these through at the very end by hand. I made a lovely rich lemon curd butter cream icing, using my cupcake icing recipe with a large tablespoon of Barkers lemon curd added. As you can see, the cake went down a treat. 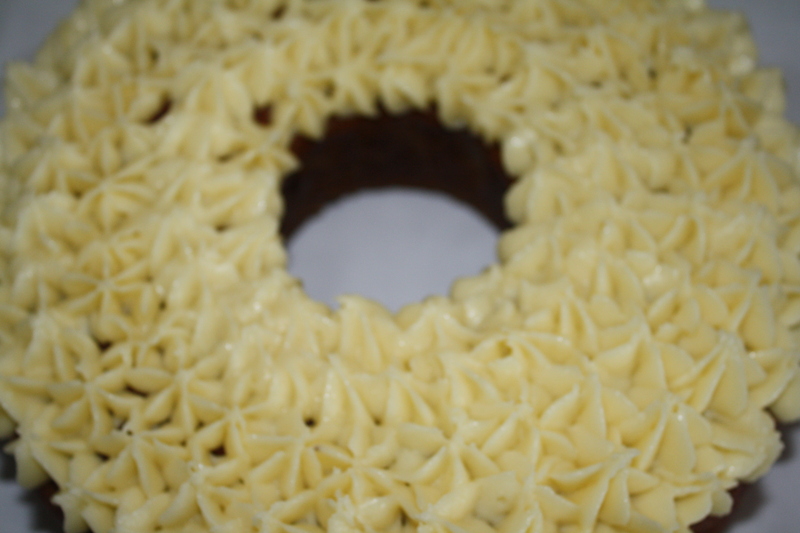 Because it’s the middle of summer (and we enjoy such a tropical climate in Wellington), I kept the cake in the fridge. Probably not necessary though, as it didn’t last long enough to go off. The verdict on the new man in my life? I think Kenny and I are going to become firm friends – especially once I learn to use the right beater tool for the right mixture and get the speed correct. What’s a few liberal splashings of batter or dough on clothing in these early days compared to the lifetime of adventures we’re going to have? (Of course, I could have used the splash guard.) This won’t be the last you hear of Kenny. I can feel some cupcakes coming on. March addition to post: I recently came across another blogger as keen on her Kenwood as I am mine. You’ll find a detailed product comparison between it and a Kitchen Aid at http://thingswemake.wordpress.com/2010/12/02/kenwood-vs-kitchenaid/. Worth a read! ooh… I think I need a Kenny too!!! Feel free to bring Kenny and the cupcakes out to the HC for a visit. Will Kenny be coming to Melbourne?